Arrive in Uganda following the flight from your respective country of origin. You land at Entebbe International Airport which is the main gateway to Uganda where you will find the company representative dedicated to offer you a courteous welcome. The amazing weather and brightening atmosphere on the shores of Lake Victoria gives you a remarkable first impression of Uganda. You will connect to the respective hotel for relaxation, dinner and overnight. 43 meters. From here you will take a ferry across the river to the northern section for relaxation, dinner and overnight. allows you to have a close and personal interaction with the animals. With over about 4,000 hippos reported to be along this stretch of the river and numerous Nile crocodiles and a birdlife stunning with brightly colored kingfishers and bee-eaters dwelling along the riverbanks you are assured of a great adventure. On your luck day, you may see the rare shoebill-a cross between the dodo and a dinosaur. 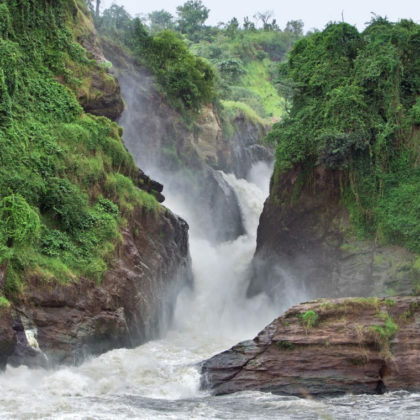 The boat cruises you to the base of the falls to further your impression of the falls and the Nile at large. You settle for your overnight. After breakfast, cross with the ferry to the southern section at 9am embarking on the transfer to Hoima. You make a stop en route at Kibiro Salt Gardens to encounter the heritage of this historic site. The Kibiro Salt Gardens has supported the livelihoods of the surrounding community dating far back to 900 years ago far before the coming of Europeans. The locals extract fine salt which they then exchange with the other communities for food and other items. The work of salt extraction at this site has for long been a dominant of female. 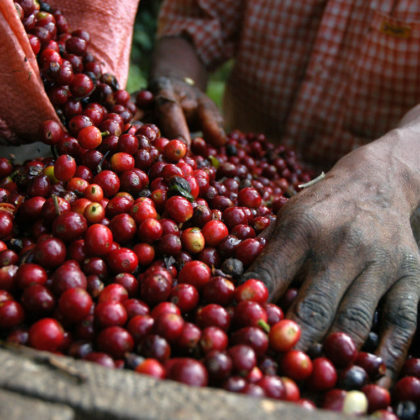 The process of extracting is rather long and technical than the ordinary but it is amazing to see how the indigenous knowledge is put into use to have a product out well made. Accessing the site exposes you to walking on steep and challenging landscapes with narrow paths that can only be accessed by foot. 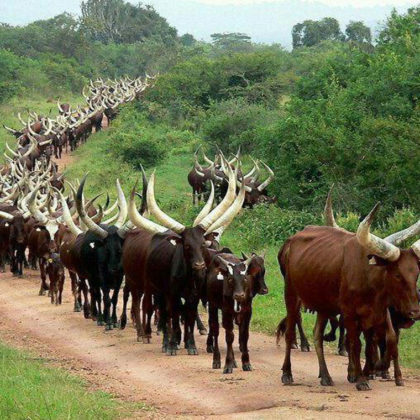 Retreat from the encounter and transfer to Hoima town and upon arrival, you embark on the tour of the Hoima town preferably on foot walking around the local centers including the markets and the streets exploring the local setting and interacting with the community. Retire in the evening for relaxation, dinner and overnight. Transfer to Fort Portal Area after breakfast following five (5) hours’ drive passing through the impressive countryside landscapes of Kagadi and Kyenjojo that are dotted with lush green, rural homesteads and farmlands. 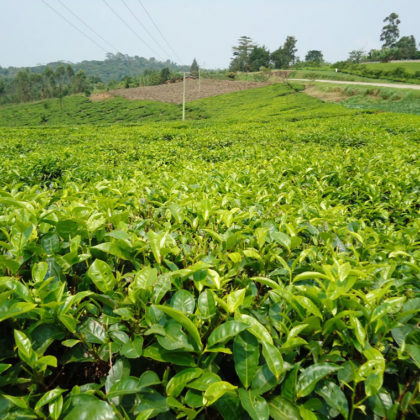 Upon arriving in Fort Portal Area, you settle for lunch in one of best restaurants in Fort Portal town after which you embark on the cycling in the Mpanga tea estates. The green tea plantation is spread over a beautiful undulating landscape with endless scenic views which makes it ideal to encounter on your mountain bikes. On your cycling, you encounter the estate staff plucking tea and you are free to participate in the exercise to gain the exact touch. Alternatively, you can opt to visit the Amabere g’ Nyinamwiru Caves and hike the Fort Portal Crater Lake field. Upon arrival, you are welcomed by the local inhabitants of the place with deep understanding and history of the place. You visit the Amabere g’ Nnyinamwiru caves – the breast like features believed to have belonged to Nyinamwiru the daughter of Bukuku who was a self-enthroned King of the Bachwezi. She was denied the opportunity to breastfeed her baby Ndahura as the father had been alerted that the child will take over his throne. The milk continues to flow out of Nyinamwiru’s breasts. Retreat from this encounter and embark on the hike to the Fort Portal Crater Lake field where you traverse the challenging slopes of Kyeganywa hill surrounded by a range of crater lakes and crater hollows presenting one of the beautiful scenic sites in Uganda. 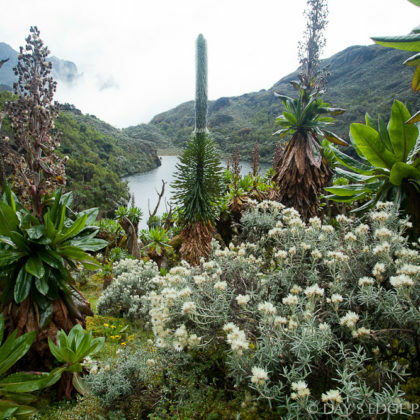 The top of Kyeganywa hill offers the views of Rwenzori Mountains on a clear day. Retreat from any of the encounters and transfer to Kibale National Park for relaxation, dinner and overnight. 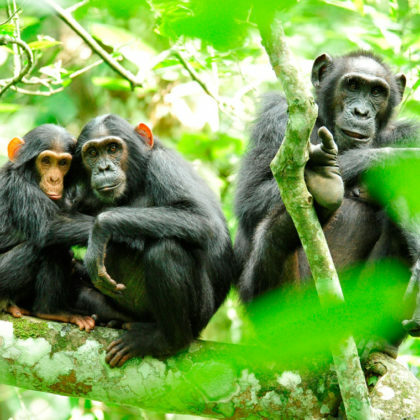 After breakfast early in the morning go to the ranger station in Kibale National Park at 08.00am for a briefing before tracking the habituated chimps. These beautiful apes-more closely related to humans than to any other living creature, are a great adventure watching as they squabble and jump from tree to tree. This forest is home to over 13 primate species include the red Colobus monkey, bushbabies, the rare L’Hoest monkey, black-faced vervet monkeys, blue monkey, grey mangabey, pottos, plus baboons. Birders have close to 335 species recorded to watch including the endemic Prirogrines ground thrush. 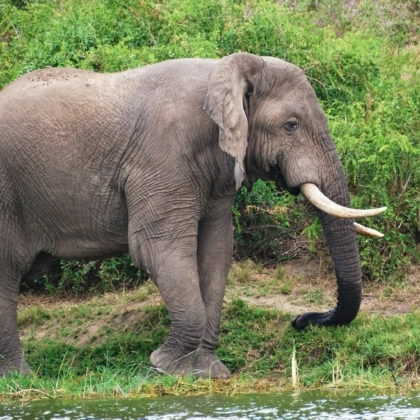 The shady forest trails offer much delight to botanists and butterfly lovers, the forest elephant, smaller and hairier than the savannah one, moves seasonally into the developed part of the park and other mammals including the giant forest hog, buffalo and antelope species like duiker are all that will spice your Uganda safari adventure. 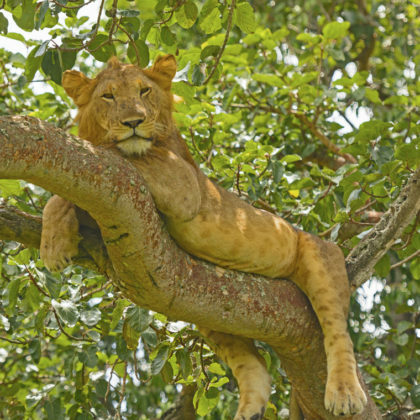 Right after the encounter, you will embark on the transfer to Queen Elizabeth National park driving past the Rwenzori Mountains with impressive magical sights before arriving in Queen Elizabeth NP in the evening for relaxation, dinner and overnight. along the Kazinga channel to have a likely close look at hippos and crocodiles. 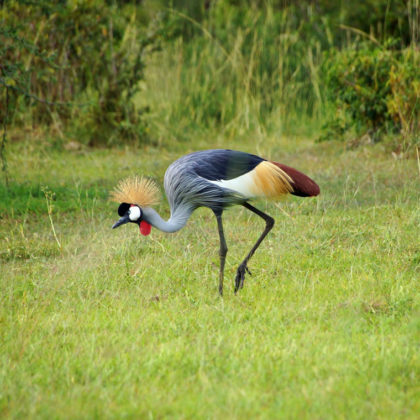 The banks of the channel are also home to many bird species that include the saddle billed stork, the pink-backed pelicans, the pied and malachite kingfishers among others. 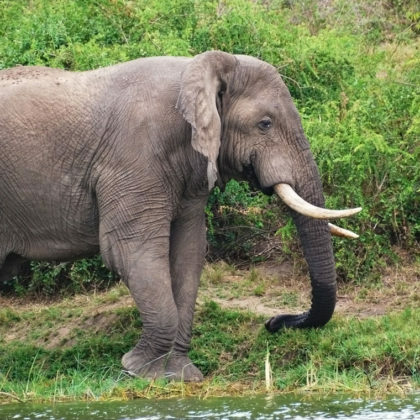 From the 2 hour activity, you can undertake a game drive along the channel track in the Mweya peninsular to spot more game before retiring for dinner and overnight. After a heavy early breakfast but with packed lunch, you will transfer to the park headquarters in the respective region where your gorilla permit is located for a briefing before embarking on your gorilla trek at 8:00am. Park guides will after take you through the thick buttress root tree forest plus undergrowth- tracking the gorillas. 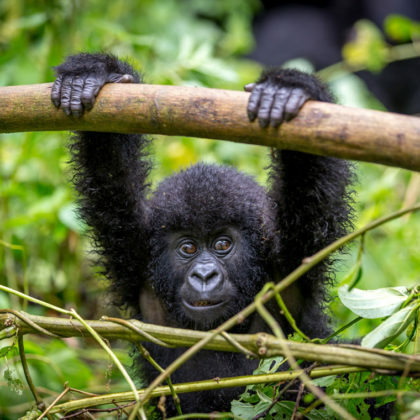 This 2 – 8 hour Gorilla trek requires a reasonable degree of fitness a pair of jungle shoes. Once tract, interaction with the gorillas as you listen to them grumble as well as taking photographs with them takes only 1hour. 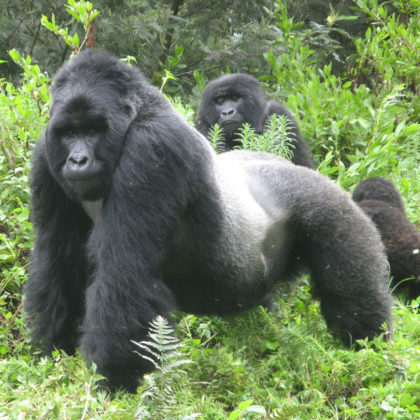 It’s important to note that there are only about 880 of these beautiful apes left in the world most of them over 400 are fortunately found in Bwindi Impenetrable National Park. You retreat from the activity and connect to the lodge for relaxation. In the evening, you attend to the local performances of the Batwa or the Bakiga which the surrounding tribal communities enjoying their impressive dance that features their long held traditions. The evening performance preferably on a camp fire offers an insight of the ancient custodians of the gorillas. Retire for overnight. transfer to Lake Mburo National Park 199km driving past Ntungamo and Mbarara town not forgetting Igongo Cultural Center before arriving in Lake Mburo National Park in the evening for relaxation, dinner and overnight. Wake up very early to connect to the homestead of the local homestead at 6am catch up with the family members as they wake up to catch up on their daily routine. The women and men here have distinct roles though others are overlapping. The Masculine encounters include; milking in the morning, taking the milk to the collection center if the buyer is not picking it at home, setting out to the field with the cows to graze in the extensive wilderness, watering the cows on the handmade soil troughs, treating the sick animals and it is spraying day, you participate in spraying of cows, evening grazing and eventual evening milking. Mid morning breaks can be used to visit the banana plantations and crop gardens where you can participate in the respective activities as well like pruning, planting or harvesting depending on the season, weeding among others. 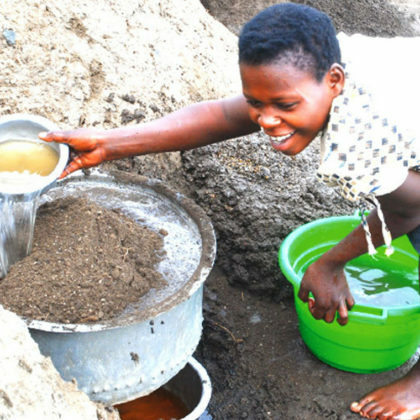 The Women encounters include; home cleaning including house and the courtyard sweeping, preparing tea, milk churning, cultivating, making crafts, lunch preparation including the dish that is made without sauce – Eshabwe from Cow Ghee among other aspects. You have a general entrainment with men in the evening marked by impressive citations, singing and dances. antelopes like elands, waterbucks, Impala, Topis, Bush buck, Klipspringer among others, buffaloes, Rothschild giraffe, Burchell’s Zebra , wart hogs among other species not forgetting the beautiful savannah landscape dotted with great acacia. Retreat from the activity an embark on the transfer to Kampala 240km about 3 – 4 hours’ drive making a stop at Uganda Equator crossing Kayabwe for magical photo shoots where one leg can be placed in north sphere and the other remains in the south. It also am impressive site for purchasing memorabilia to take back home as a remembrance for this safari in Uganda. Connect to Entebbe International Airport for your flight back home.